EXCELLENT location on a ridgetop w/ amazing views to east and mtns to west. Spacious, open & bright, vaulted w/ windows & views everywhere! Brand new carpet, new interior paint, new exterior stucco trim, new roof (4/2018), freshly polished hard wood floors, new upstairs exterior decking, 2 water heaters, 2 furnaces, water softener, wired for security system. Excellent layout w/ private master retreat & its own private deck to enjoy your favorite beverage, located on opposite side of home from 3 secondary bedrooms on 2nd flr. Second flr also includes a large east facing deck to enjoy sunrises, rolling hills, deer wild turkeys, 2nd flr loft opens to vaulted family room below and huge west facing windows to west/mountains. New concrete back patio to BBQ/grill and sit by a fire pit to take in the views. 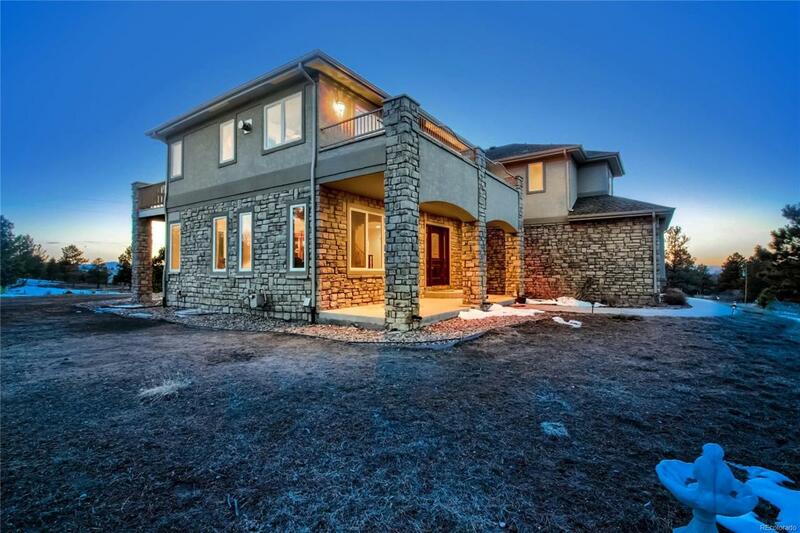 Massive full 1700+ sq ft bsmt w/ 12' ceilings and structural flr ready for you to finish to your taste. Only approx 4 miles to S. Parker Road & 8 miles to E470. Come take a look! Offered by Red Maple Real Estate Group.